Make sure you're well equipped for your next ride with quality gear from Milwaukee Leather. 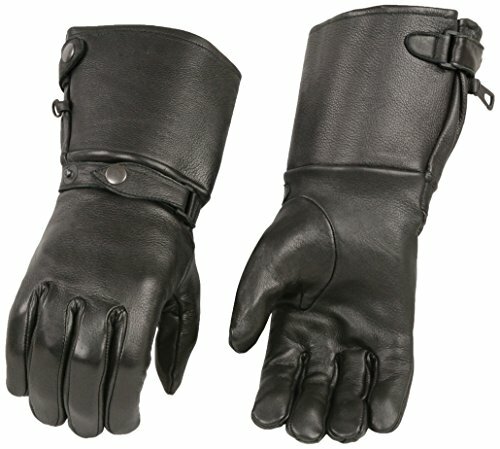 These premium leather gloves are made from soft deerskin and feature a thermal lining to keep your hands protected from the cold wind and air. Adjustable wrist strap closures allow for a secure fit. Stay comfortable and protected on the open road with quality gear from Milwaukee Leather. If you have any questions about this product by Shaf International, contact us by completing and submitting the form below. If you are looking for a specif part number, please include it with your message.